SNOWY SCENE Brief, intense storms originating in the Southern Ocean can dump heavy snow on some parts of Antarctica, such as the Antarctic Peninsula (shown). Relatively rare extreme precipitation events are responsible for more than 40 percent of the total annual snowfall across most of the continent — and in some places, as much as 60 percent, researchers report March 25 in Geophysical Research Letters. Climatologist John Turner of the British Antarctic Survey in Cambridge and his colleagues used regional climate simulations to estimate daily precipitation across the continent from 1979 to 2016. Then, the team zoomed in on 10 locations — representing different climates from the dry interior desert to the often snowy coasts and the open ocean — to determine regional differences in snowfall. 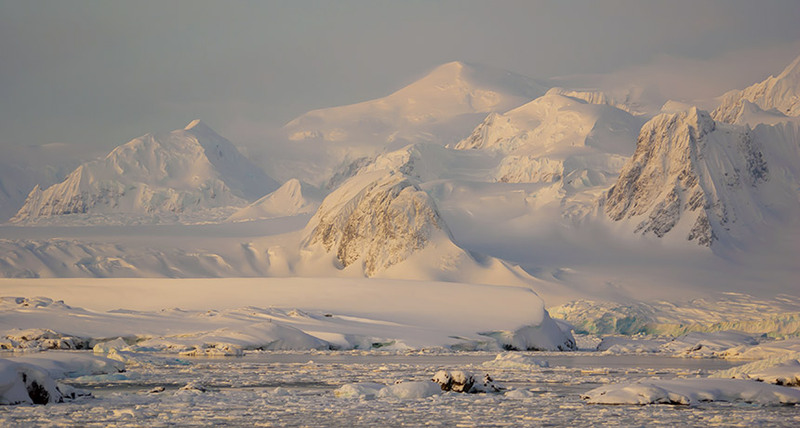 While snowfall amounts vary greatly by location, extreme events packed the biggest wallop along Antarctica’s coasts, especially on the floating ice shelves, the researchers found. For instance, the Amery ice shelf in East Antarctica gets roughly half of its annual precipitation — which typically totals about half a meter of snow — in just 10 days, on average. In 1994, the ice shelf got 44 percent of its entire annual precipitation on a single day in September. Ice cores aren’t just a window into the past; they are also used to predict the continent’s future in a warming world. So characterizing these coastal regions is crucial for understanding Antarctica’s ice sheet — and its potential future contribution to sea level rise.